Nine university students spent three days in Orlando, Florida, meeting top female tech industry professionals. 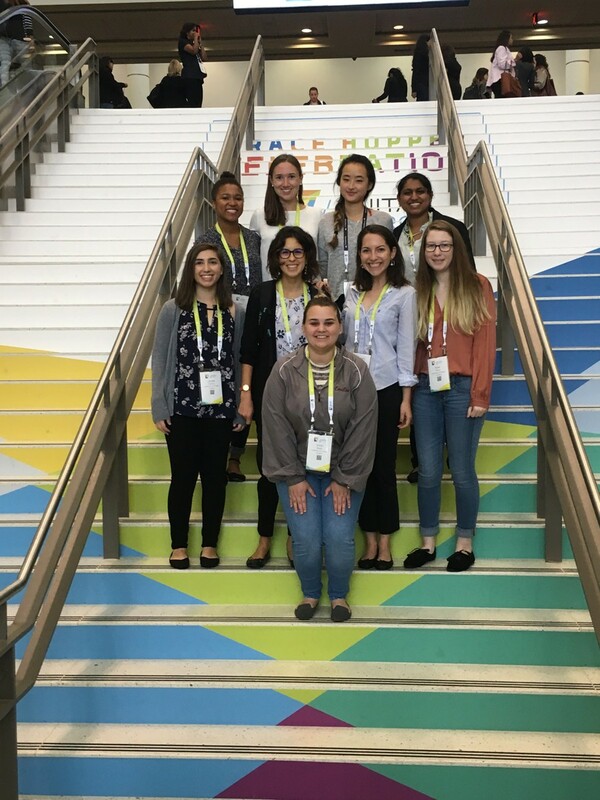 Last week, 27 University women pursuing careers in computer science and technology attended a three-day conference in Orlando, Florida. Starting on October 4, undergraduate and graduate students, selected through an application process chaired by the Department of Computer Science, joined 18,000 total attendees at the Grace Hopper Celebration of Women in Computing (GHC) to hear from female leaders in the tech industry and to network with top tech corporations. GHC sponsors panels and keynotes and provides networking opportunities to attendees at the event. Third-year student and second-time GHC attendee Juliette Hainline said that although she focused on attending panels and keynotes instead of career presentations during her first year at the conference, she secured a summer position at a tech company in San Francisco due to the conference. This year she devoted more time to the GHC career fair and interviewed for positions on the spot. The trip to GHC was made possible by a grant proposed by Hainline and third-year Isha Mehrotra and awarded by the Women’s Board of UChicago, which provided funding for 20 women to attend GHC. Another grant awarded by the Physical Sciences Collegiate Division proposed by professor Diana Franklin, research associate professor and director of computer science education at UChicago STEM Education, funded seven more students to attend the conference. However, there is not a permanently established University-funded scholarship to send future students. According to Hainline, the GHC scholarship should be maintained because, while the Chicago tech scene is growing, most companies are still based on the West Coast. Companies at GHC often actively recruit women from the conference. “Being able to get that face-to-face time—and they really want you because you’re a woman—the face-to-face time is out of this world,” Hainline said. The interactions between corporations and attendees extend beyond the three-day conference. “People will contact you before or you can try and talk to them and get an interview there,” Hainline added. For women at the conference, panels directed women toward this future Gates proposed in her keynote. “I was opened up to new technologies through talks that I went to and am now interested in learning more about cybersecurity and virtual reality,” fourth-year Kim Holmgren said. GHC also illuminated the reality of future technologies for Holmgren. “I think having the opportunity to see real applications and current research about these terms I’ve only heard about through classes or news articles really got me excited about learning them and I am definitely more convinced to pursue STEM in the future,” Holmgren said. GHC also changed Mehrotra’s perspective on pursuing a Masters/Ph.D. “I had the misunderstanding that higher education is exclusively a pipeline for a career in academia,” she said. After attending a panel, she realized that skills developed during a Ph.D. program can be transferred to a career in corporate technology. The original article incorrectly named Devshi Mehrotra as the third-year who pushed for the grant. The article also incorrectly stated that over 16,000 women attended the conference. That number has been updated to 18,000 total attendees, a more accurate estimate.